Welcome to our review of the Leupold FXII 2.5x20mm Ultralight Crossbow Scope. 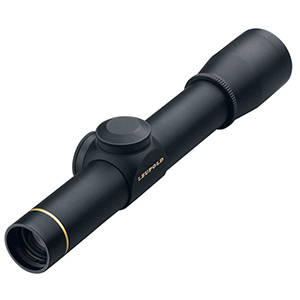 Leupold is well-known for their superior optics, so I was curious to see if that reputation held up even with the less expensive models such as the FXII Ultralight scope. 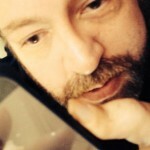 Read on to learn what I found. What Are the Dimensions of the Leupold FXII 2.5x20mm Ultralight Crossbow Scope? The Leupold FXII 2.5x20mm Ultralight Crossbow Scope weighs in at a tiny 6.5 ounces, so it adds almost no weight at all to your crossbow. The overall length of the scope is a mere 8 inches, with a diameter of just 1.4 inches at its widest point. This scope takes up almost no space at all on the Weaver or Picatinny rail of your crossbow; in truth, it is much smaller than any bundled scope I’ve ever seen on a x-bow. How Much Magnification Do I Get From the Leupold FXII 2.5x20mm Ultralight Crossbow Scope? The Leupold FXII 2.5x20mm Ultralight Crossbow Scope offers actual magnification of 2.3X, allowing you a detailed view of your target before you take the kill shot. The clarity of the image is nothing short of amazing, and the scope definitely lives up to the brand reputation Leupold has earned. How is the Optics Quality on the Crossbow Scope? The Leupold FXII 2.5x20mm Ultralight Crossbow Scope offers fully multi-coated optics, using Leupold’s proprietary Multicoat 4 coating system. The index-matched lens system provides best-in-class light management, and the scope’s blackened lens edges reduces glare and diffusion through the lens edges. The tube is purged with an argon/krypton blend for advanced waterproofing and fogproofing. You won’t have to worry about water damage or fogging on this scope. The eye relief on this scope is absolutely amazing at almost 5 inches – 4.9 inches, to be precise. This makes the scope extremely comfortable for almost any weapon you might use the scope with, since you won’t have to worry about recoil banging the scope into your head or eye. I haven’t tested this scope on rifles, since I purchased it for my crossbow, but it’s rugged enough to handle just about anything. The Leupold FXII 2.5x20mm Ultralight Crossbow Scope has a 20mm objective lens with two choices of reticle: wide or heavy. The heavy reticle is great for low-light shooting, since the extra-wide posts really stand out when you need to see them. Leupold always makes a great scope, and the light gathering capabilities of the Leupold FXII 2.5x20mm Ultralight Crossbow Scope provide excellent low-light hunting capabilities. The index matched lenses coupled with Leupold’s proprietary Multicoat 4 system make this scope one of the best I’ve seen when it comes to gathering light. My only complaint is that the reticle isn’t illuminated, but the heavy reticle does show up pretty well during the dawn or dusk hours. The field of view on the Leupold FXII 2.5x20mm Ultralight Crossbow Scope is 39.5 feet at 100 yards, giving you plenty of room to acquire your target and then zero in for the kill shot. The Leupold FXII 2.5x20mm Ultralight Crossbow Scope doesn’t come with rings, but standard 1″ rings will work just fine. The 20mm objective lens is so small that you won’t need a set of high rings to accommodate this particular scope. How Easy is the Leupold FXII 2.5x20mm Ultralight Crossbow Scope to Sight In? This scope is a dream to sight in, with finger-adjustable, low-profile “click” adjustments that are both tactile and audible for extreme precision. This scope uses Leupold’s CDS custom dial system to change out the dial specific to your rifle load, if you’re using the scope on a rifle. This makes it easy to quickly and easily adjust the scope to various weapon shooting profiles. Once sighted in, the Leupold FXII 2.5x20mm Ultralight Crossbow Scope held zero for at least two years, until I swapped it out onto a different crossbow. That’s pretty solid performance, folks! Leupold offers a full, transferable lifetime warranty on all of its scopes. There’s no warranty card that you need to send in, no time limit, and no hassle. If the scope doesn’t perform as expected, Leupold repairs or replaces it, free of charge. Okay, but how realistic is that? Leupold scopes are built like pickup trucks, able to withstand just about anything you can throw at them. I wouldn’t recommend actually shooting at your scope, but I’ve dropped my crossbow several times (even from as far as 15 feet when the rope I was using to lower my gear from the tree stand snapped), and the scope never even lost its sighting. Thanks for reading my review of the Leupold FXII 2.5x20mm Ultralight Crossbow Scope. This is a top notch scope, and is probably my favorite for close-range deer hunting. It allows me to get up close and personal with my future meals, and performs flawlessly in the process.